Winning Gold at Monde Selection, BB Mineral Cream from Cleargino series brings in the tranquility and exquisiteness to your skin. 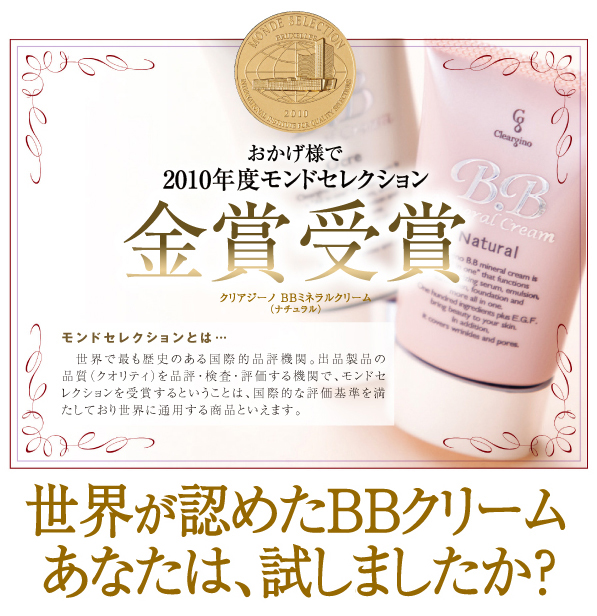 > Lotion: With arbutin (for whitening effect) and polyglutamic acid for moisturizing. > Foundation: Making the color of the sking whiter, brighter, and healthier.